Are those the only options? Maybe split the difference with some pizza and bowling? Kids enjoy bowling, especially if the alley allows bumpers. Fun for everyone, really. But bumper bowling is not in the future for little Miles and Flora, the orphaned nephew and niece of a selfish London bachelor. Uncle hires the clearly brittle governess Miss Giddens (Deborah Kerr) based on her letter confessing that more than anything, she loves children. The ease with which he charms her into taking the position, and the first of the film’s regular mentions of imagination as a gateway to the truth, predict quite a lot. 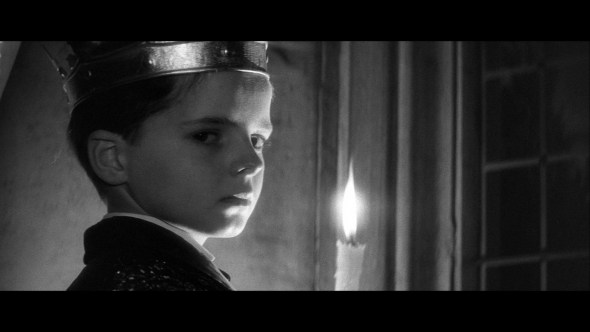 Quietly desperate and delicately high strung, Kerr’s performance is the perfect central image in The Innocents, the best of many screen adaptations of Henry James’s The Turn of the Screw. Is Kerr’s hypersensitive governess turning delusional as she spirals toward spinsterhood, or are her angelic charges in danger of becoming possessed by the spectral lovers who seem to haunt the property? Thanks to Kerr, the wickedly cherubic turn by Martin Stephens (the most popular child actor in England’s Fifties and Sixties) as young Miles, and Freddie Francis’s gorgeous black and white photography, this eerie ghost story is a glorious study in the shadowy line between reality and imagination.